Spacious home in popular Victory Heights. Hardwood and Tile floors. 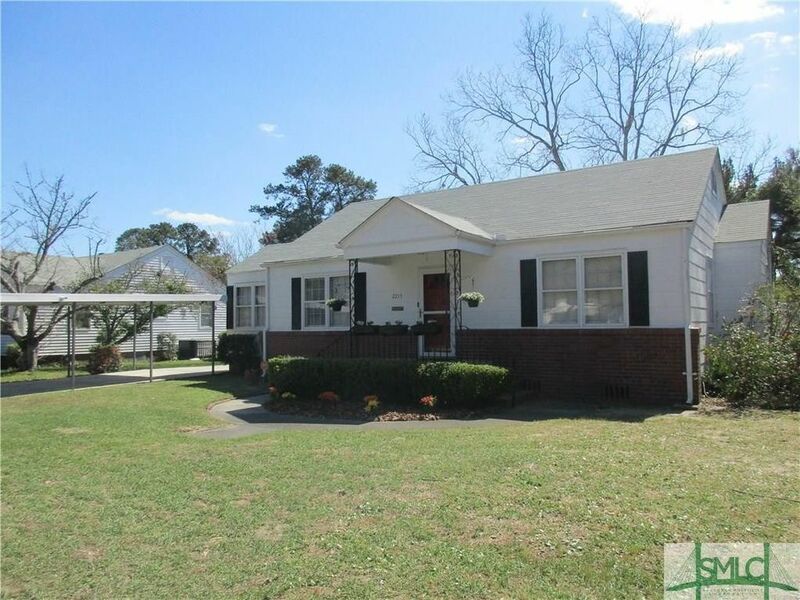 Over 1700 sq ft with 3 BR/2 BA. Living room open to dining. Separate sitting area with wood stove. Library/Den could be 3rd bedroom. Master Bedroom with private bath and walk in closet. Updated HVAC, hardwood floors. Kitchen with gas range, side by side refrigerator, white cabinets, breakfast bar and pantry. Open to large laundry room. Storage galore in this detailed cottages. Don;t miss floored attic -stand up with built in shelves and possible future expansion. Lots of storage. Charming details throughout, like built-ins, glass door knobs. Covered front porch. Large fun deck overlooks fenced backyard. 2 covered parking spots and 4 storage sheds--One was home office -so great for home based business. New Landscaping and beautifully maintained. Large floored attic -possible future expansion. Just minutes to Truman parkway and downtown--and Victory shopping and dining area. Directions: Victory to Skidaway - left (North), then right on 37th - house on right.